“The more freedom we give to Introverts to be them, the more likely they are to come up with their own unique solutions to problems.” Susan Cain Since 2012, over 20 million people have viewed and listened to Susan Cain’s . . .
AI and IoT devices are too complicated for their own good. Digitization, optimized processes, prescriptive analytics – these phrases may excite the C-suite, but for those actually using industrial machinery, following processes that have often been unchanged for decades, buzzwords . . .
Join behavioural futurist William Higham and Pod Group founder & CEO Charles Towers-Clark for a fascinating discussion on Artificial Intelligence, IoT, and their impact on the present, and future, of mankind. If we don’t move fast to prepare for a future dominated by artificial intelligence it will be too late. That is the view of CEO Charles Towers-Clark, who has implemented strategies at Internet of Things company Pod Group to prepare staff . . .
‘I Thought About Suicide So Much Today It’s Scaring Me’: Should AI Intervene On Suicidal Texts? 'I Thought About Suicide So Much Today It's Scaring Me': Should AI Intervene On Suicidal Texts? Technology is often seen as the exact opposite of emotion. Robots in the movies are portrayed as unfeeling killers or incapable of experiencing an emotion without exploding – with the implication that human feelings are too complex for computers to . . . The expert highlighted the unintended effects of artificial intelligence (AI) on the human race. Charles Towers-Clark, CEO of Internet of Things (IoT) company Pod Group, pointed out heightened unemployment will increase depression among workers. He went on to suggest depression . . .
“When work is a pleasure, life is joy. When work is a duty, life is slavery”. Maxim Gorky It’s Monday morning, 8h00am, you are in the lift going up to your office, are you more likely to whistle, smile or . . .
Everybody and their dog are talking about how AI and automation will change the way businesses operate, but very few businesses are actually taking meaningful action on the subject. 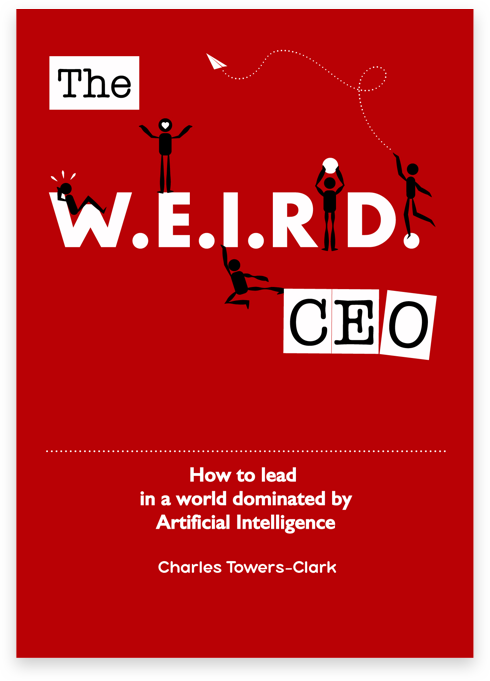 Charles Towers-Clark, CEO of Pod Group, is different. Not only does . . .